So you want to use your iPad to take notes on the go but don’t want to just focus on text notes? Live Notes is an exciting application that lets you take text and audio notes and link them up for playback in the future. It essentially acts in a similar to what Livescribe pens do. 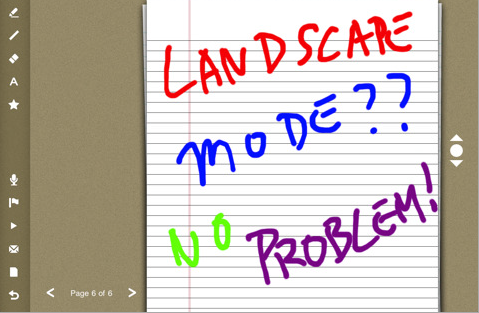 Live Notes has a pretty intuitive interface and makes synchronizing text and audio notes pretty easy. 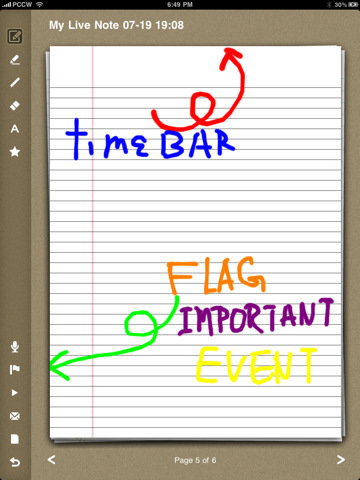 You can even insert flags at specific moments to make going through your notes easier. It doesn’t hurt that this app can handle few or many notes. Live Notes can come handy in all kinds of situations. Whether you are a teacher, student, or a business professional, having the ability to link your audio and text notes is a big plus. You can take your notes in your hand-writing and use tools such as eraser and shapes to write things down more effectively. Live Notes is a pretty useful app for those of you who want to take your notes in multiple formats. It has a very easy to use interface and makes remembering things much more convenient.